CEOs are dropping like flies these days. From scandals to poor management, there’s always a door opening for a new CEO, so how can you, a potential first time CEO, get one step ahead of your competitors? Peter Thies, Founder and President of The River Group, discusses 6 things you should know as a first time CEO. CEO turnover rate is on the rise, with one in eight high profile CEOs leaving companies within three years in 2018. One implication of this trend is that there are more opportunities for executives beginning their very first CEO gigs. And yet most have no idea about the challenges they’ll encounter. The first realization that smacks most in the face: it’s a really hard job. When we think of a CEO – it’s easy to associate the role with the positives: recognition, power, and leadership. But through candid conversations with CEOs, we’re here to tell a story that reveals the challenges of the role that may not fit the typical tales of glory. In a whitepaper that our firm, The River Group, published, we reported that although the CEO position can be very rewarding, six months into the job many first time CEOs found that they were much less prepared to be the CEO than they thought they were. Six months into the job many first time CEOs found that they were much less prepared to be the CEO than they thought they were. On a 1-to-10 scale, first-time CEOs’ felt preparedness dropped from an average of 7.2 on their first day to 3.5 six months later. What caused this? According to our research, after starting the job, new CEOs learned several emotional, cognitive and personal challenges inherent in the role. In addition, they had to deal with these issues in real time, with little advanced notice. Everything you do as a CEO – from taking another manager out for coffee to the way the inflection of your voice resonates on a report call to employers – will be scrutinized. At first, this may be overwhelming, causing a sensation of being a specimen being examined in great detail. However, this is why leadership is influential – how you show up as a leader will shape the organization’s set of accepted behaviors and norms. Therefore, you must get used to the microscope of leadership and learn how to best leverage the spotlight to create positive impact in your company. Demanding and unique, boards depend on who is on them and their relationship to the firm. It can be hard to know where to draw the line for a first-time CEO establishing their right to lead. Being too accommodating or tolerating ambiguous boundaries may shore up trouble for the future— especially when the CEO allows him/herself to be overruled. It can be hard to know where to draw the line for a first-time CEO establishing their right to lead. Treat the Board as a group of individuals, rather than as a single group with a fixed identity. The goal is to develop mutual understanding so you can work collaboratively towards a synergistic outcome. Time to think and reflect grows rare. CEOs are always on 24/7, and the spotlight does not go off. They are the audience in every meeting and the focal point of every conversation. CEOs that we interviewed reported a need to be careful with time management, because some people may just use the opportunity to advance an agenda out of purely self-interest. In the end, the CEO’s own development through reflection is impacted. New CEOs felt that others expected them to operate as a CEO with all of the answers as soon as the role begins. For the first time CEO, this is on-the-job training that grows non-linearly, without a text or a teacher. Finding an experienced CEO to be a sounding board, joining a small group of CEOs for joint learning and support, and engaging a trusted advisor/coach are interventions that experienced CEOs advocate. For the first time in the career, a new CEO doesn’t have the opportunity to commiserate with other people in the company. Because of the microscope effect, if the CEO says something to one person, they must assume they’re saying it to everyone. Because of the microscope effect, if the CEO says something to one person, they must assume they’re saying it to everyone. Although always “on” in public, the CEO role in the spotlight becomes sharper, the stress higher, and in turn it can be more isolating. Unvarnished performance feedback is rare and must be sought out proactively. Therefore, experienced CEOs stressed the value of working with a trusted 3rd party (e.g. executive coach, senior executives from professional groups) to obtain unbiased feedback on performance. Because the CEO’s decisions affect the lives of many, decisions weigh heavily on their conscience. At the same time, they have to be the public face of confidence, amplifying the volume and impact of their words. As a result, it is crucial for CEOs to lean on family and friends for safe harbor and emotional support. 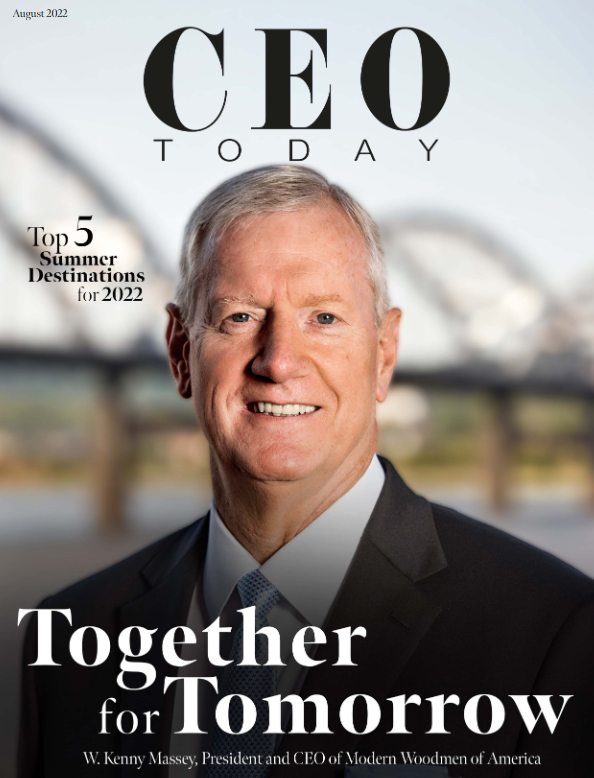 Overall, the majority of CEOs found their position both fulfilling and rewarding, but many surprises lie ahead for a new CEO. It’s worth investing the time and energy into understanding the psychological demands of the role, and be prepared to expect the unexpected as a new CEO on boards.